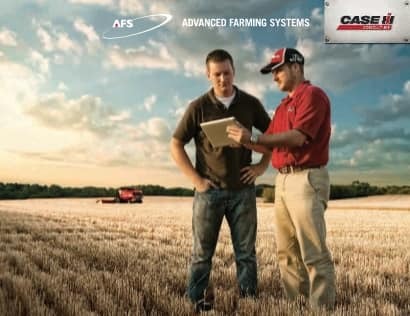 Case IH AFS Connect telematics uses global positioning systems and cellular technology to send and receive machine agronomic and job-site information. Telematics technology helps busy managers improve productivity with up-to-the-minute information on their equipment. Meanwhile, Case IH expertise and local support keep your AFS technology working smoothly so you can maximise your return on investment. • Coordinate machine logistics so you can efficiently manage maintenance, refueling and other needs to keep your people productive and machines running smoothly. Protect your investment and streamline maintenance by using the AFS Connect Manager™ alerts and antitheft system (where available). Geo-fencing ensures a machine stays within certain coordinates preset by you. Curfew management sends an alert if a machine is started after working hours. AFS Connect allows you to connect your software and hardware across the entire farm to improve efficiency and decision-making.